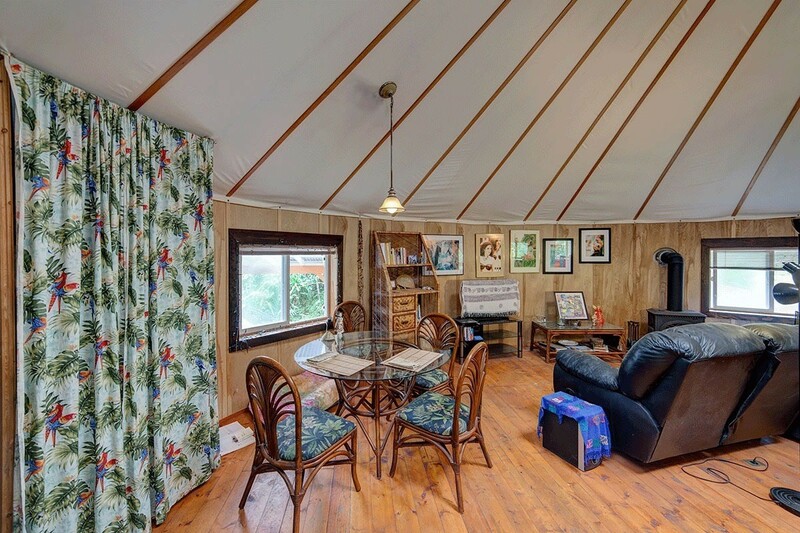 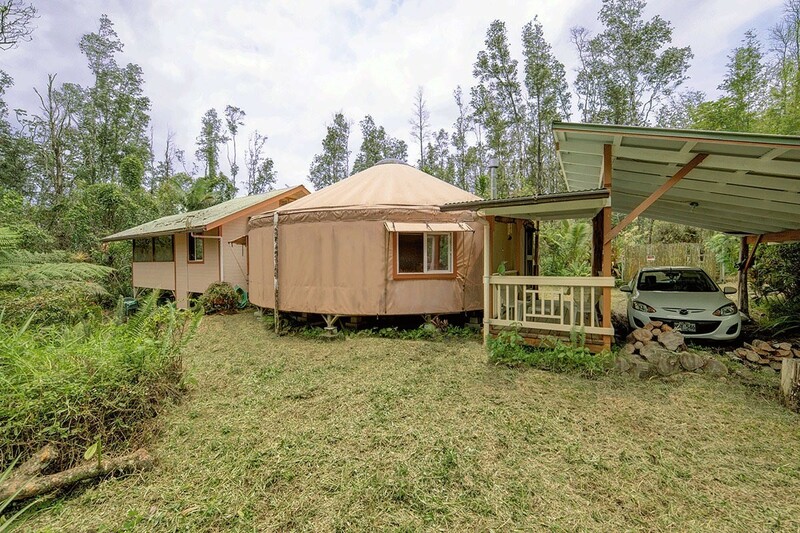 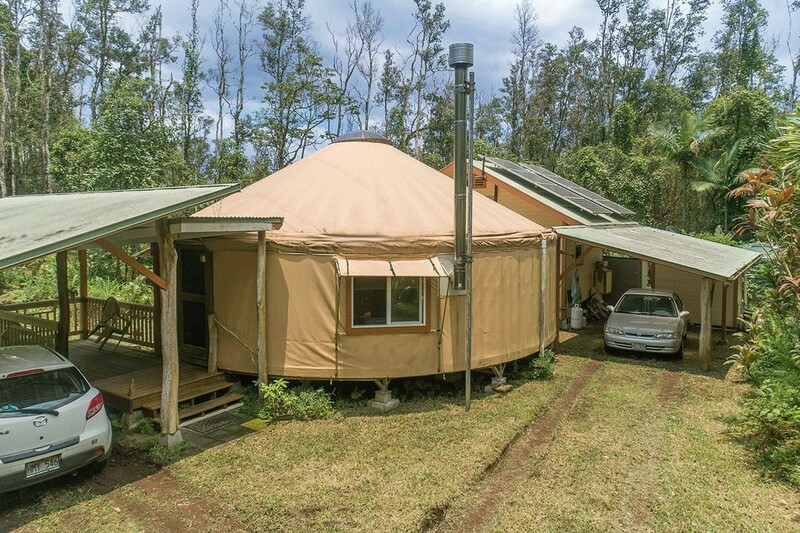 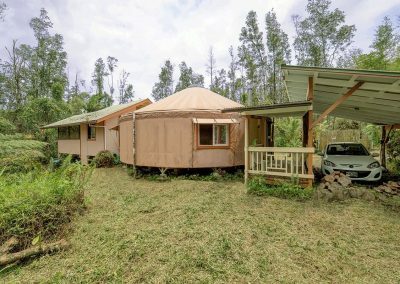 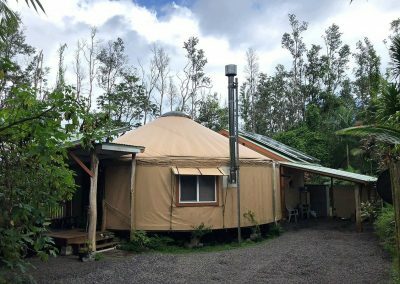 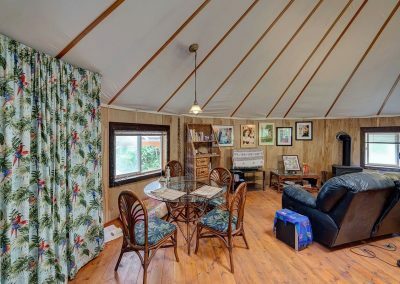 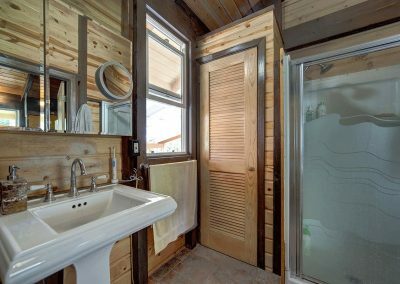 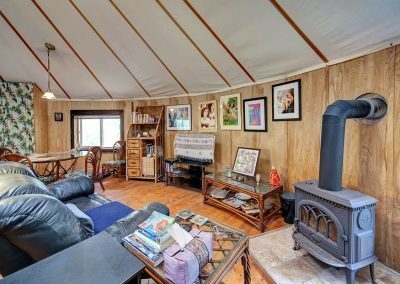 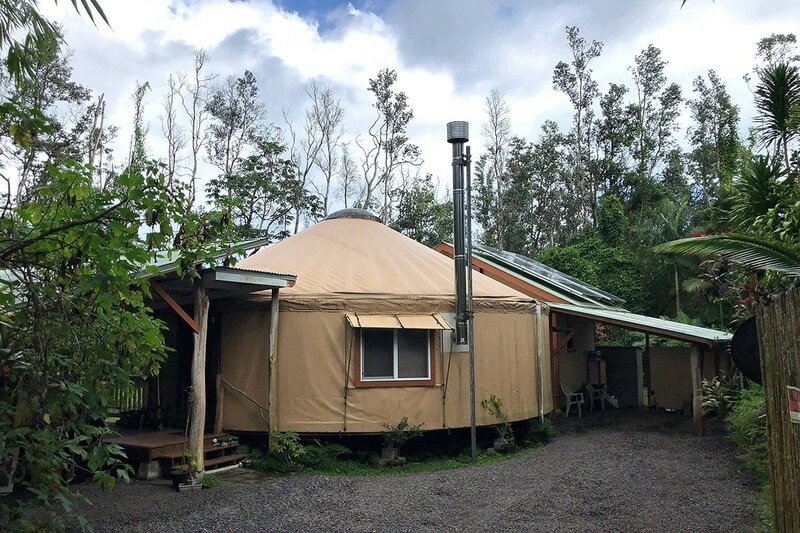 This super cute, well thought out and well maintained yurt home with added kitchen, bathroom and screened -in lanai is the best deal around! 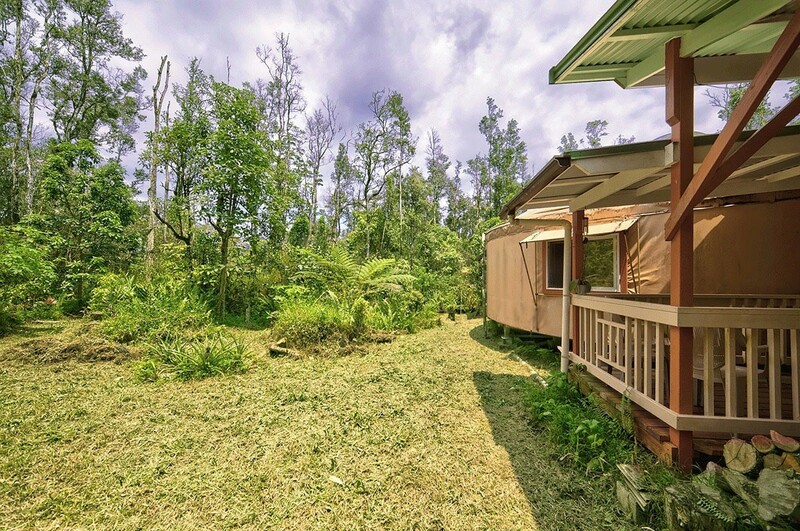 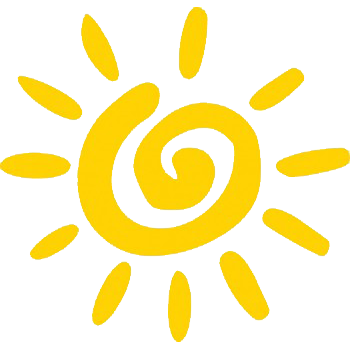 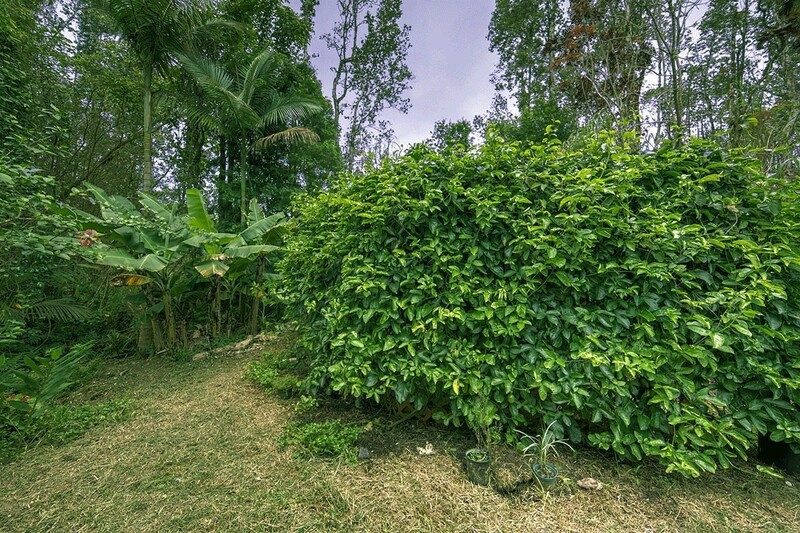 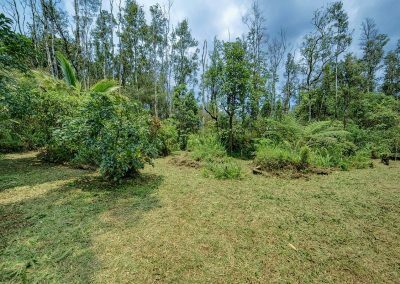 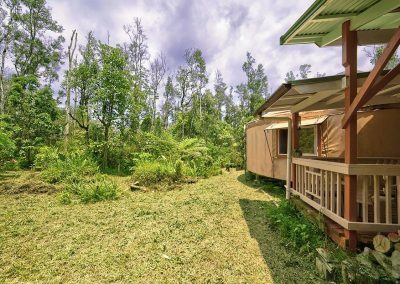 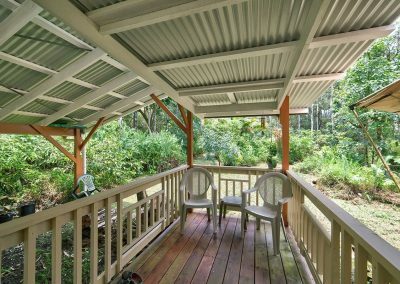 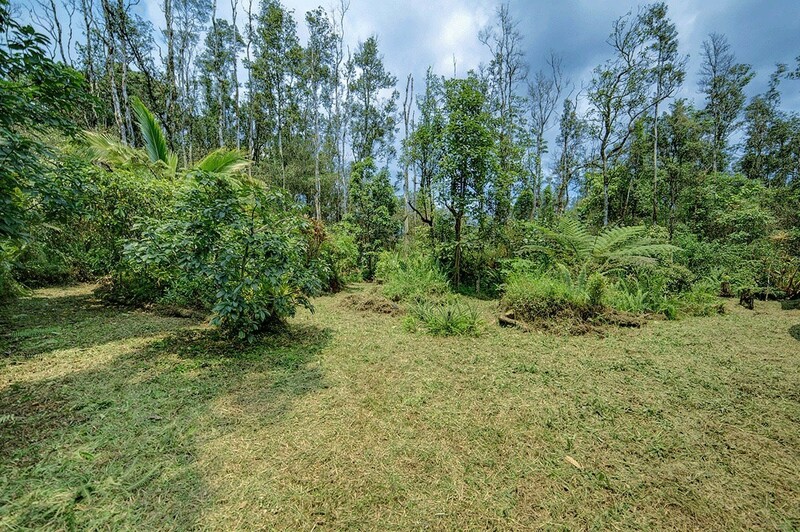 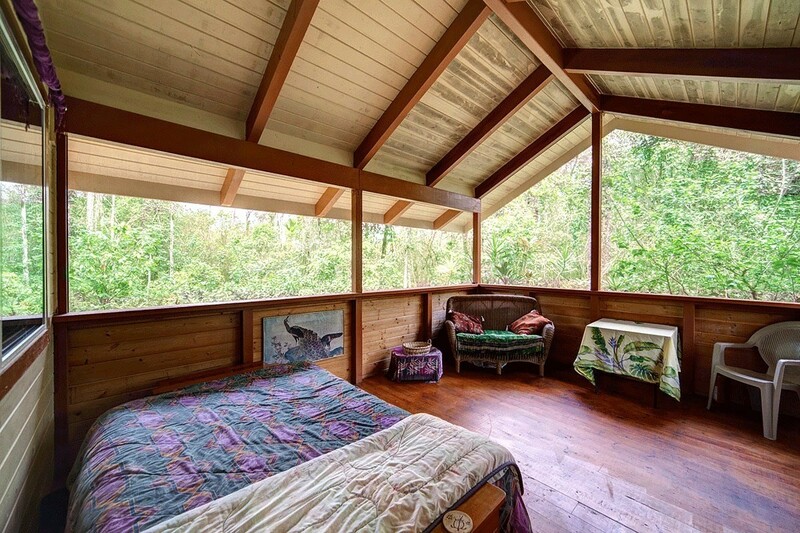 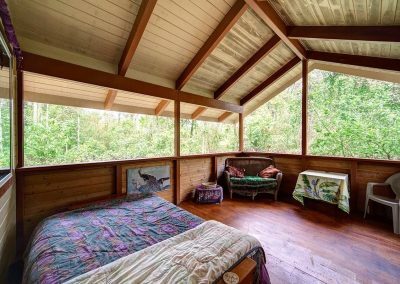 Located in Blacksands subdivision, the home is tucked into the tropical Ohia forest where you will get plenty of sun and rain to grow just about anything. 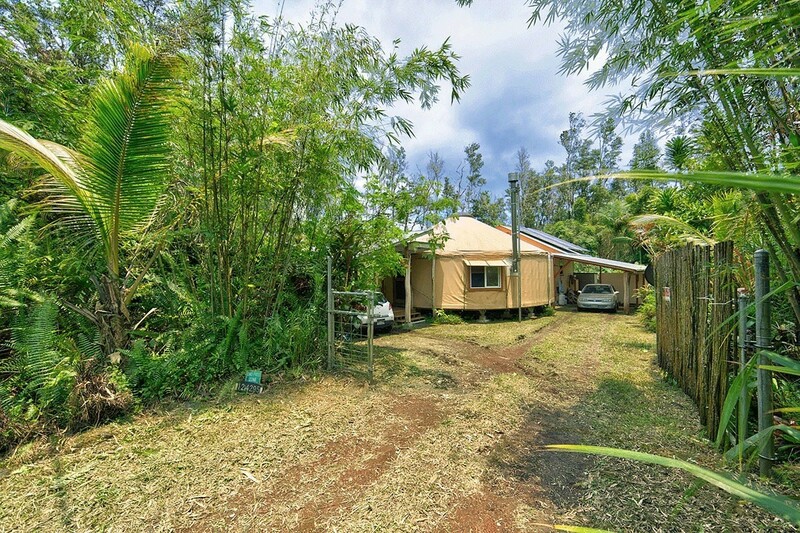 Sale includes the adjacent lot net door in this price!!! 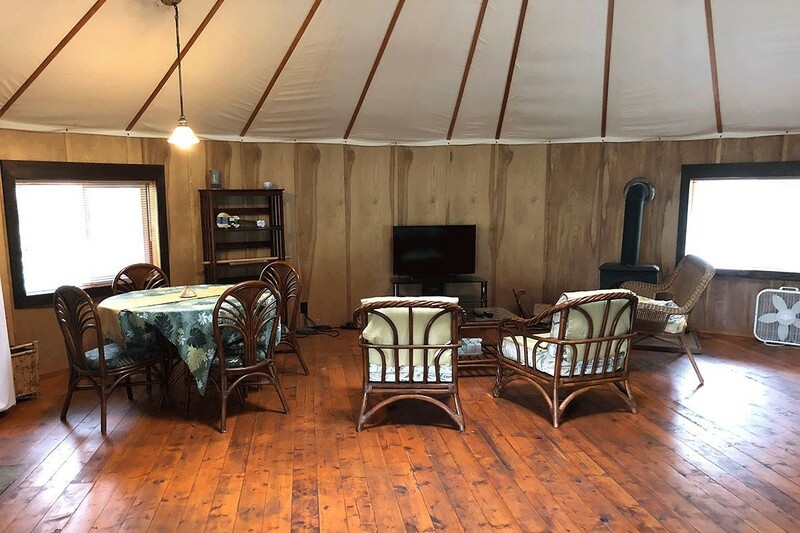 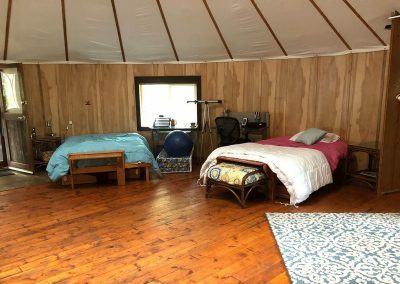 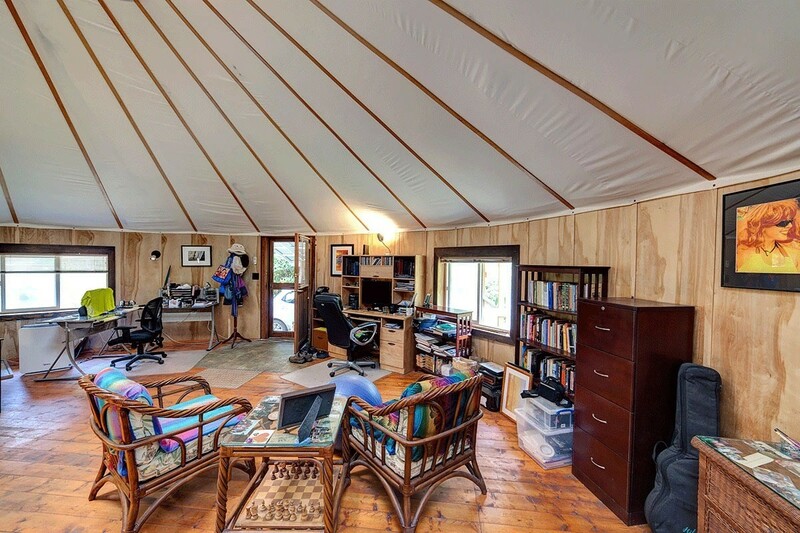 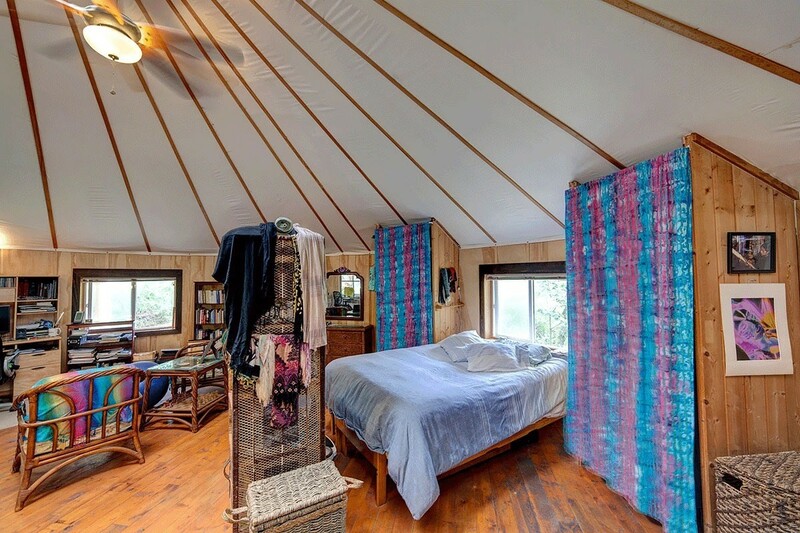 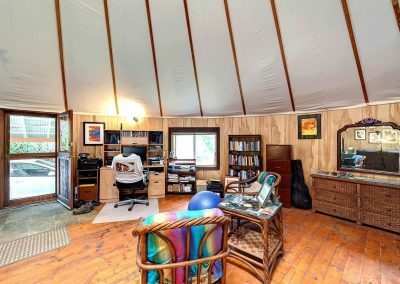 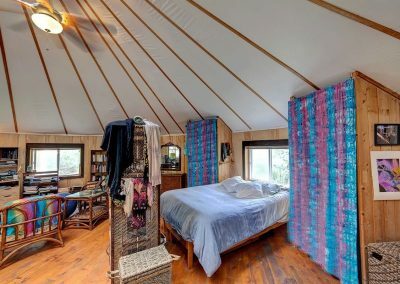 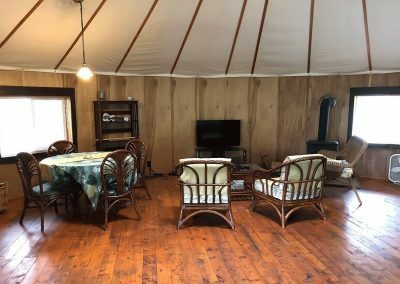 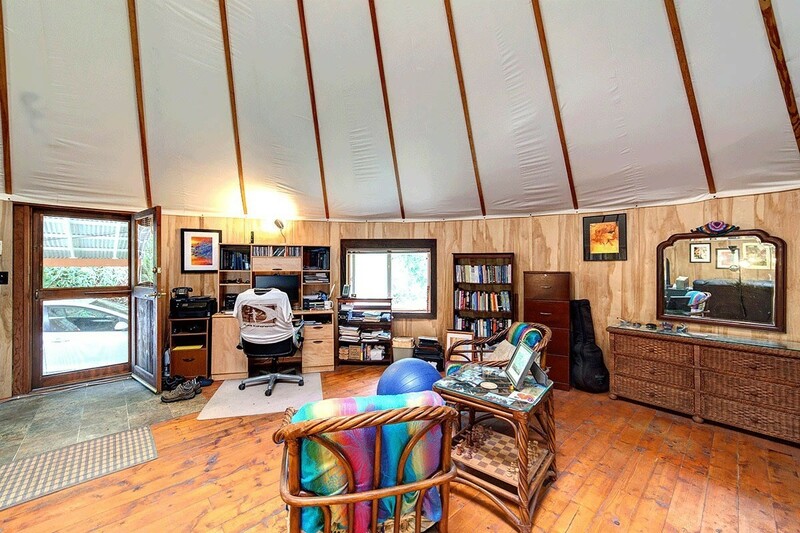 *707 sq ft Pacific Yurt with pine wood floors and wood burning stove. 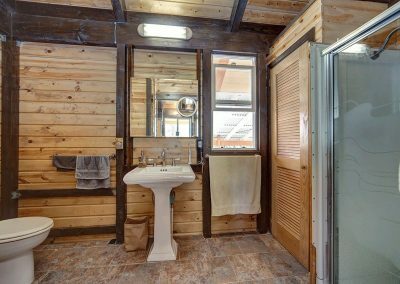 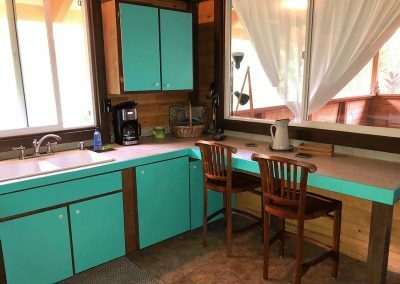 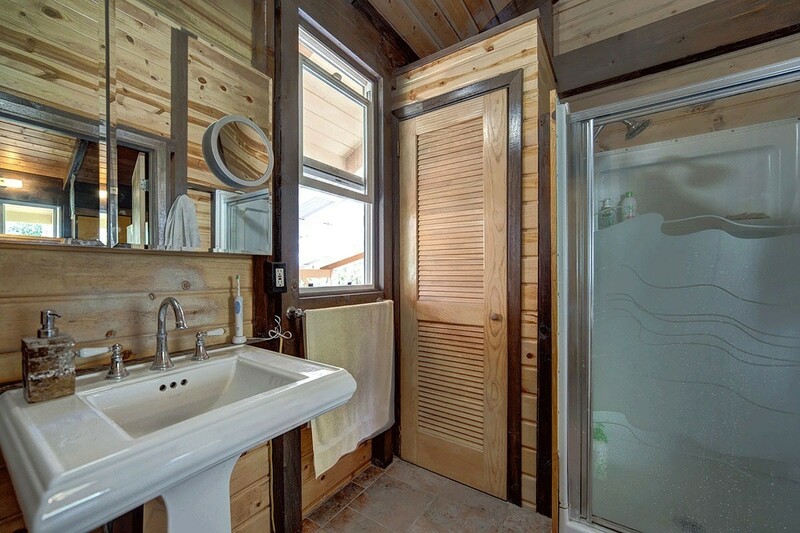 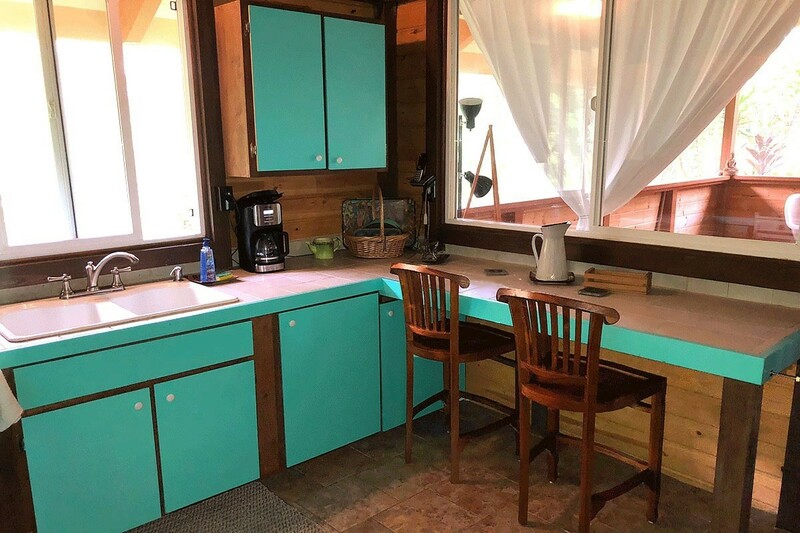 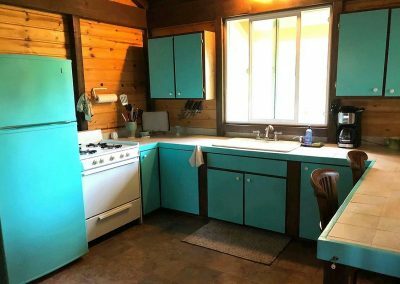 *Attached 251 sq ft kitchen and bath area with ceramic tile floor / counter tops, Ponderosa pine walls, vinyl windows, electric refrigerator and stove. 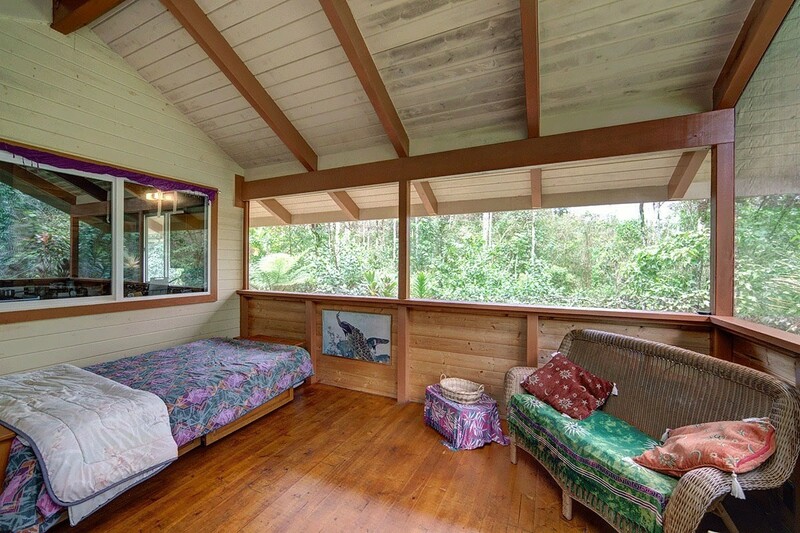 *176 sq ft fully enclosed / screened room or lanai area with access to the back yard. 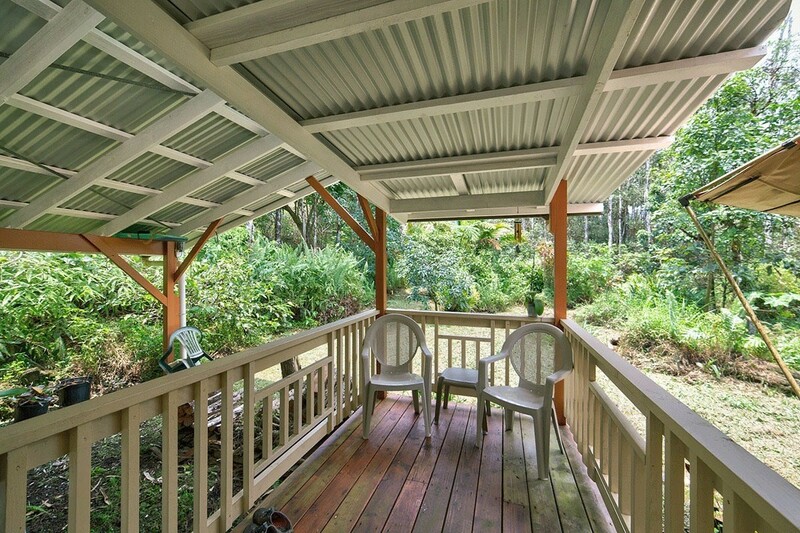 * Additionally there is a covered front carport off the front entrance. 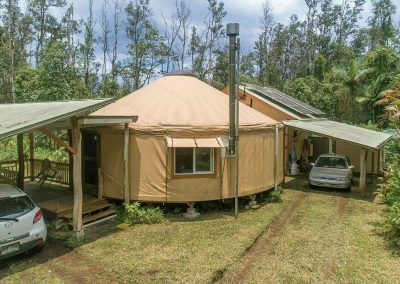 You will be completely self sufficient on this off-grid property with the Outback solar system, 8 panels for AC, 1 DC, Saltwater batteries (new in 2017). 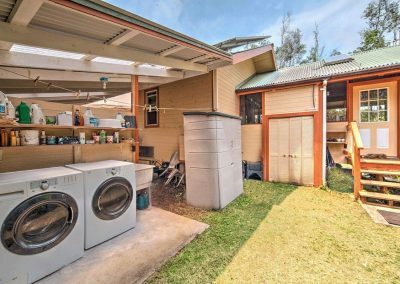 Two enclosed catchment tanks totaling 5000 gallons, water filtration system with newer pump and pressure tank, two filters and in-house free standing Berkey water filtration system. 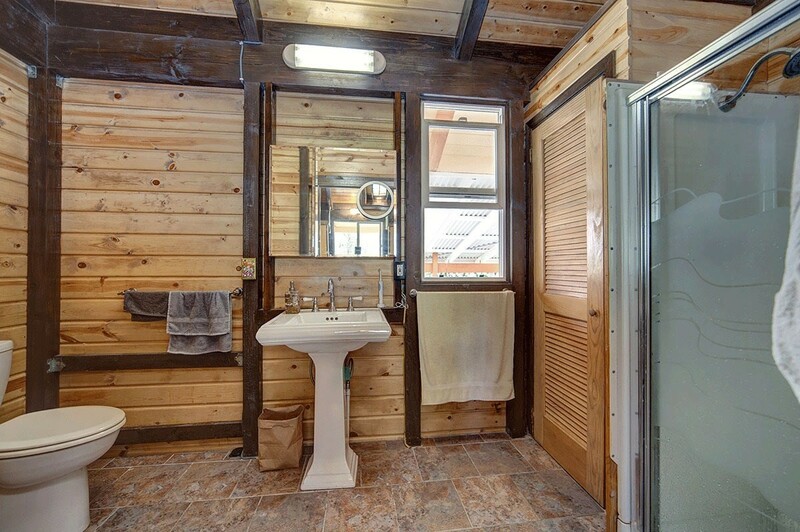 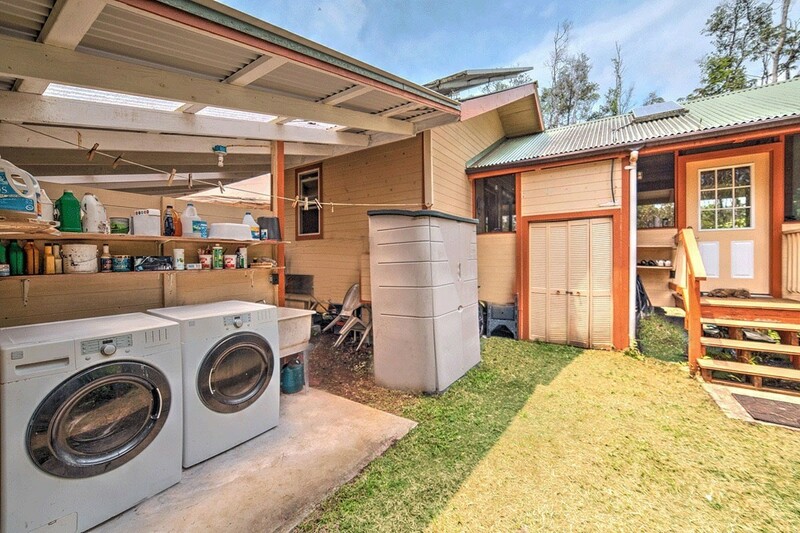 There are full sized washer and dryer, a back-up generator and the home is being offered with all the furnishings. 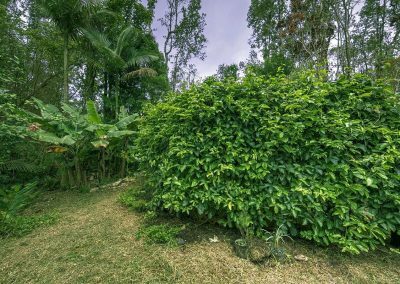 The combined two lots have fruit trees & flowering plants including pineapple, banana, avocado, lilikoi, cacao, Surinam cherry, mulberry, ti, hapuu ferns, anthurium & fragrant tiare gardenias! 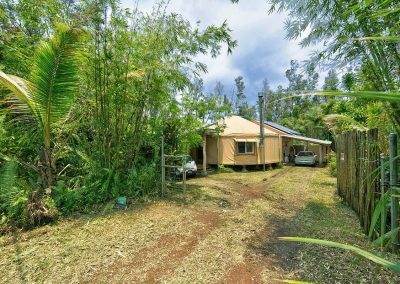 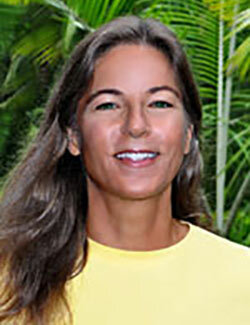 This home has DSL high-speed interest, is about 10 minutes to Pahoa Town and all its conveniences. 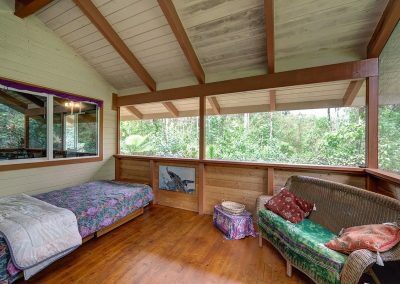 It is a 10 minute drive to the amazing beautiful Pacific ocean and to Kalapana where there is the bi-weekly farmers market and music fest. 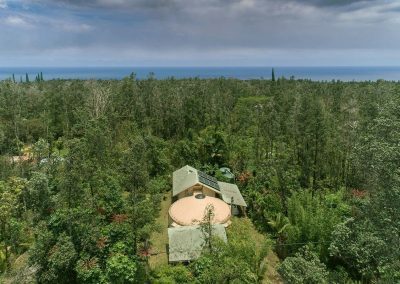 New black sand beaches have formed on the Southeast coast recently – there is no place like this on earth! 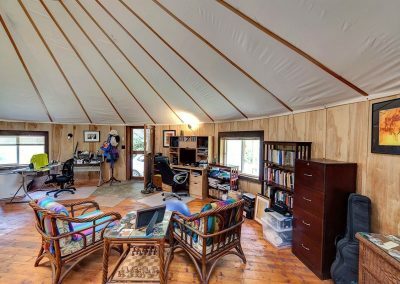 All structures built without permits. 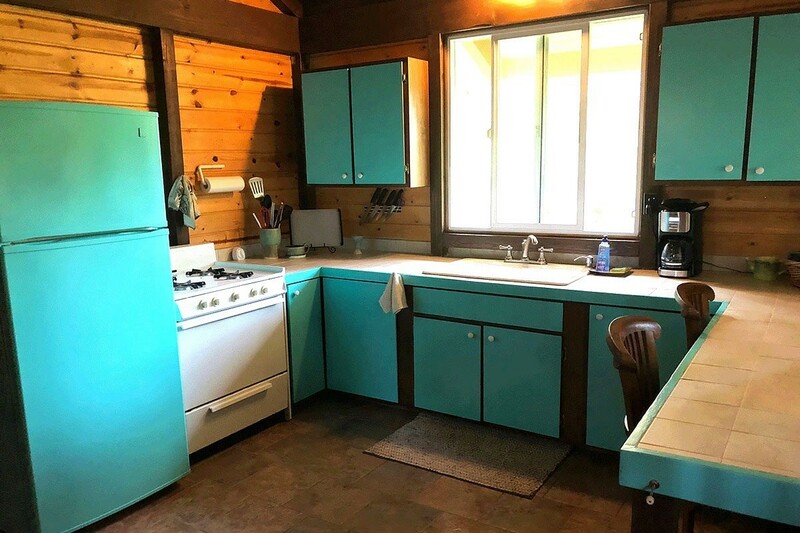 Sold as is, turn-key.